Virginia Morell '71 delves into the thoughts and feelings of our fellow creatures. We’ve all had those moments with the animals in our lives—whether it’s a cocker spaniel at our feet or a baboon in the zoo. Moments when we’ve seen something that rings a bell. Something telling in their eyes or their body language or their actions. A playful hop. A thoughtful look. A slump of sadness. Something our human minds, so adept at mind-reading among our own species, can almost latch onto as a sign of purpose or emotion or contemplation. At such moments, it seems to be simple common sense that other animals think and feel in ways that are both strange to us and, at the same time, strikingly familiar. And yet, during much of the 20th century, with the ascendancy of behaviorism in both human and animal psychology, it was strictly taboo in most scientific circles to speak of animals having minds or feelings. The very idea was mocked as anthropomorphic thinking—that sentimental human tendency to project our own motivations onto things around us, from the balky station wagon that won’t start to those vicious weeds that invade our garden each summer. Even Darwin, who, in his time, speculated freely about the cognitive abilities of all sorts of animals, from lizards to apes, was considered naive in this regard. And so, for much of the century, science moved forward in the unshakable conviction that not only was animal thought and emotion unknowable; it was out of the question. Animals did not love.They did not suffer. They did not think or plan or communicate in meaningful ways. Then, in 1960, along came Jane Goodall, a non-scientist who didn’t know any better, and her years of careful observation and record-keeping among the scheming, tool-wielding, communicating, socially obsessed chimpanzees with whom she lived was instrumental in starting a revolution. That revolution—still somewhat controversial in scientific circles—is slowly but surely opening to scientific discovery an amazing world of animal cognition, offering tantalizing glimpses into the thoughts and feelings of the creatures with whom we share this world. For Virginia Morell ’71, this has clearly been a subject of fascination for many years, and her new book is a joyous, globe-trotting trek through the surprising and not so surprising intelligentsia of the animal kingdom. Along the way, we meet a number of the scientists who have risked their reputations and dedicated their lives to finding rigorously scientific ways of breaking through the barrier of ignorance surrounding non-human cognition. How they’ve done so is as interesting a story, in many ways, as what they’ve discovered. But the real stars of this book are the animals themselves, who sometimes seem as easy to understand as old friends, sometimes demonstrate abilities that are so startling that they almost give us goosebumps, and sometimes reveal attitudes and motivations that are so alien that we recoil. Morell starts her journey as far from the human branch of the evolutionary tree as possible, with a creature the size of a printed hyphen—a rock ant—and works her way closer, upping the cognitive ante each step along the way. There’s the archerfish that has to learn and apply some fairly advanced mental calculations in order to shoot a bug off a branch with an intense little jet of water (and also seems to take special pleasure in shooting lab technicians in the eye). … Pepperberg carried Alex on her arm to a tall wooden perch in the middle of the room. She then retrieved a green key and a small green cup from a basket on a shelf. She held up the two items to Alex’s eye. “Shape,” Alex said. Since he lacked lips and only slightly opened his beak to reply, the words seemed to come from the air around him, as if a ventriloquist were speaking. But the words— and what can only be called the thoughts—were entirely his. Then, there are the wild parrotlets in Venezuela whose calls are being translated, bit by bit, during a study that has gone on for decades. Each bird, it seems, has a signature call that it uses to identify itself and that other birds use to call to it. That signature is inflected slightly differently based upon the relationship between the caller and the callee. Not only that, evidence is accumulating to indicate that this signature call is given to each bird by its parents. It’s a process that sounds spookily familiar to any parent who ever named a newborn. It’s telling, by the way, that Morell chose to end her trek through animal intelligence not with humanity’s closest relative, the chimpanzee, but with its closest friend and partner. After all, humans and chimpanzees have had millionsof years to evolve apart. Humans and dogs, on the other hand, have had many millennia—maybe forty or more—to evolve together to the point that it’s not fantastic at all to say that we can read each other’s minds. For those of us whose intuitions have always shouted that animals have thoughts and feelings that are just as real and just as intense and just as meaningful as our own, this book is both a vindication and a joy ride, but it’s also an ethical challenge. After all, the more you know about how animals think and feel, the more you can identify with them and the harder it becomes to ignore their plight. Morell’s epilogue is a cautionary note that reflects a sense of sadness born of many years as a science writer, watching species after species vanish forever from the earth. But there’s also a note of hope. 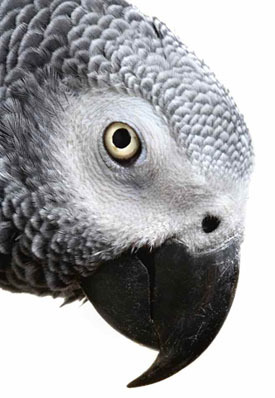 Understanding how animals think, she suggests, can help us eliminate unintended consequences. For instance, understanding that elephant herds depend upon senior matriarchs to keep youngsters from going rogue may help to eliminate the damaging practice of thinning herds by killing off the oldest animals. It’s true that the science in this book is still on the bleeding edge, much of it controversial, and that applying rigor to this field is both necessary and exceedingly difficult. But in the final analysis, it’s hard to believe there’s no connection between the eagerness with which so many people embraced—and continue to embrace—the idea that animal cognition is a chimera and the vested interest that the human race holds in its sense of exceptionalism and its dominance over the animal world. With that in mind, though I found the stories in this book uplifting and compelling, I also found Morell’s pessimism more convincing than her thin reeds of hope.